We have a great crew this season! It is wonderful to have several dedicated and miipassioned interns and partners. Our little collective is getting a lot accomplished and getting everything ready for an abundant 2013! WELCOME Cat, Rachel, Michelle, Meg, Dana, Natalya, Buggy, and welcome back Jen and John for another great season! With even more people contacting us with interest, we are excited for this new surge in energy…synergy! ANNOUNCING! The Healcrest Urban Farm Tea-pop Shop! ANNOUNCING! The Healcrest Tea-pop Shop! Last year Maria Graziani had an inspired idea, what if we combine tea, herbs, fruit, berries, and delicious sweetness in a frozen treat. 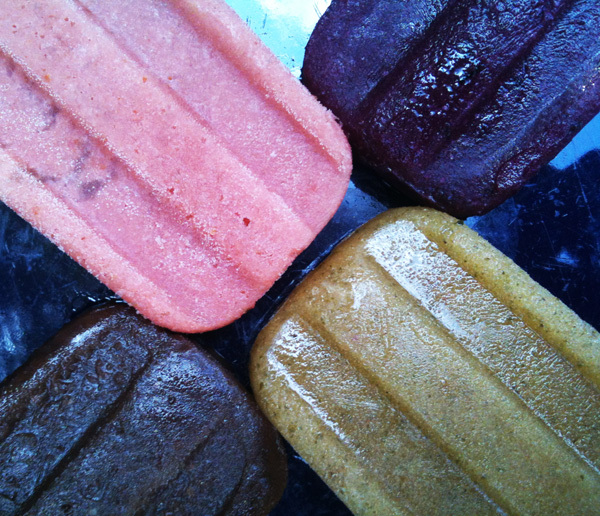 After some tasty and not-so tasty experimentation Healcrest tea-pops were created. With growing interest in healthy treats, artisanal food, and locally grown produce, things we love in great quantities at Healcrest, we thought what a wonderful novelty item for Pittsburghers to enjoy this coming summer. We are ecstatic and elated to announce the arrival of the Healcrest Urban Farm cold-plate push cart! With the help from friends and supporters at Awesome Pittsburgh, CatapultPGH and KivaZip Micro-Lending, we made the BIG acquisition. 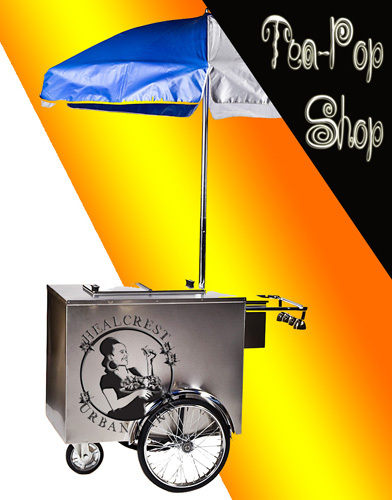 You will recognize it as your standard ice cream or Italian ice cart, locate us by umbrella at your favorite event! Try all of our seasonal flavors!